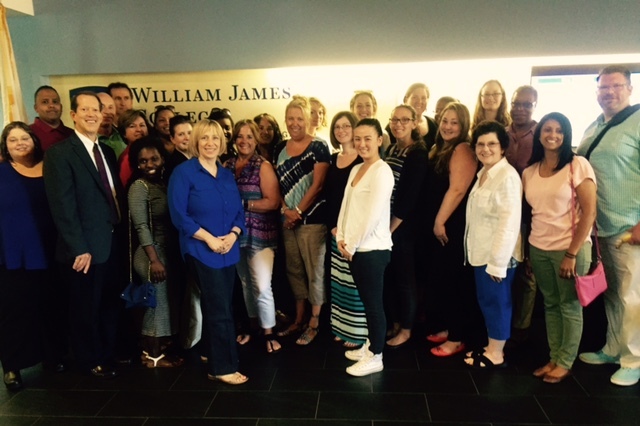 Dr. Barbara Baumann recently conducted a three-day initial AF-CBT training in Pittsburgh. Providers representing five agencies from three states attended. The results of a community treatment effectiveness trial of AF-CBT are now available in Child Maltreatment (SAGE) - see "First Online"
AF-CBT Training, CAC of SW Florida, Ft. Myers, FL. 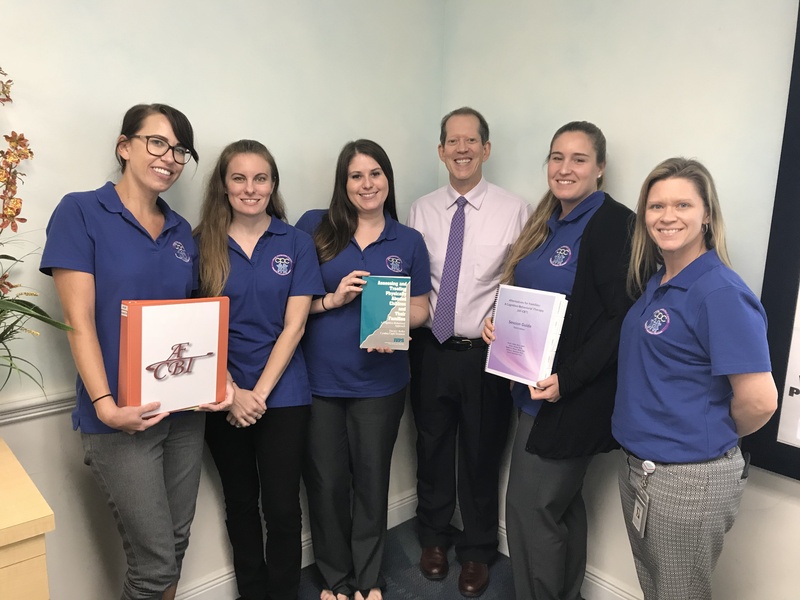 Clinicians from the CAC for Southwest Florida in Ft. Myers and the Child Protection Center in Sarasota have expanded their EBT services to include AF-CBT. These sites offer comprehensive services to child victims and their families and conduct trainings in the region. AF-CBT Training, Dawson Place CAC, Everett, WA. The training included clinicians, supervisors, and administrators from the Child Advocacy Program, a highly experienced team of professionals who provide a range of trauma services. The program collaborates with numerous community and support organizations, and other service systems (e.g., court, child welfare). Dr. Baumann spoke at the Singapore Ministry of Social and Family Development (MSF) on Monday, June 18, 2018. 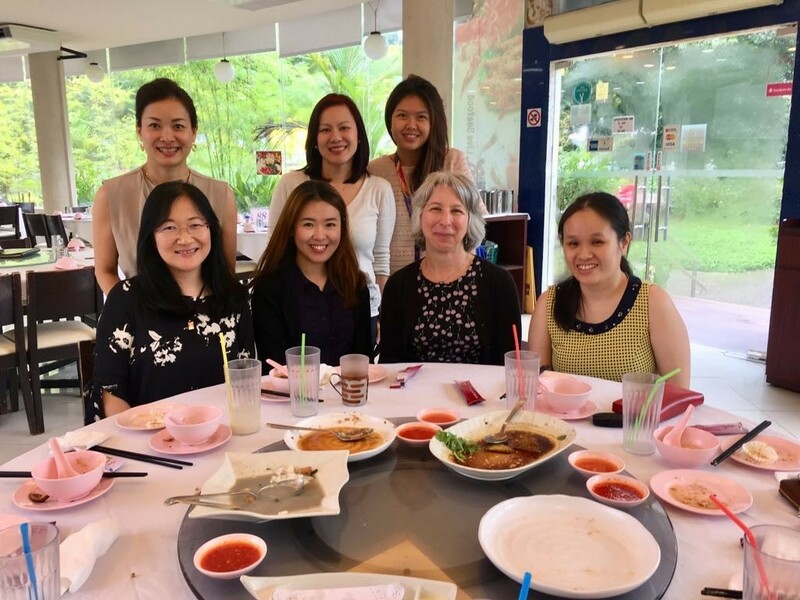 She was invited by Dr. Cheryl Huang Shuhui, Senior Clinical Psychologist with the Clinical and Forensic Psychology Service to provide an overview of AF-CBT to service providers from within and outside the ministry. It was an engaging discussion, focused on how AF-CBT could be applied in Singapore, specifics about the model, and challenges therapists face when working with clients who are mandated to services. Dr. Huang has implemented AF-CBT with several clients and provided a case presentation to demonstrate effective use of the model. 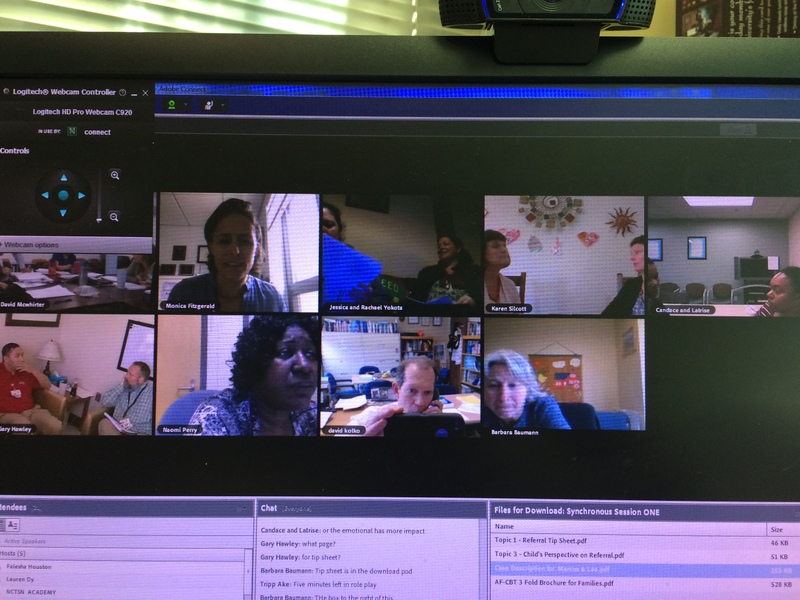 In collaboration with the planning team from the Duke-UCLA National Center for Child Traumatic Stress, AF-CBT training faculty have developed and implemented a fully virtual training in AF-CBT through the NCTSN Academy on Child Traumatic Stress. Family Advocacy Program Providers serving 9 military bases/installations from around the U.S. and in Japan have begun their year-long learning community and will soon complete the basic training phase. Lessons learned from this experience will be used to refine training/consultation materials to support virtual trainings for other providers serving military and non-military settings. Please contact Rio May del Rosario, rrdelrosario@mednet.ucla.edu, for more information. 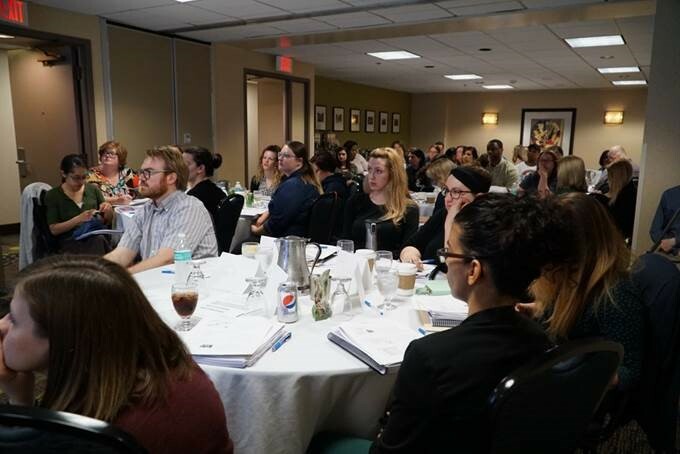 Barbara Baumann and David Kolko recently conducted a combined training in AF-CBT for 42 providers from 13 agencies from around the U.S. and the local Pittsburgh community. Providers worked in a variety of novel settings that included Child Advocacy Centers and homes as well as outpatient clinics. The services will be delivered using both English and Spanish materials. 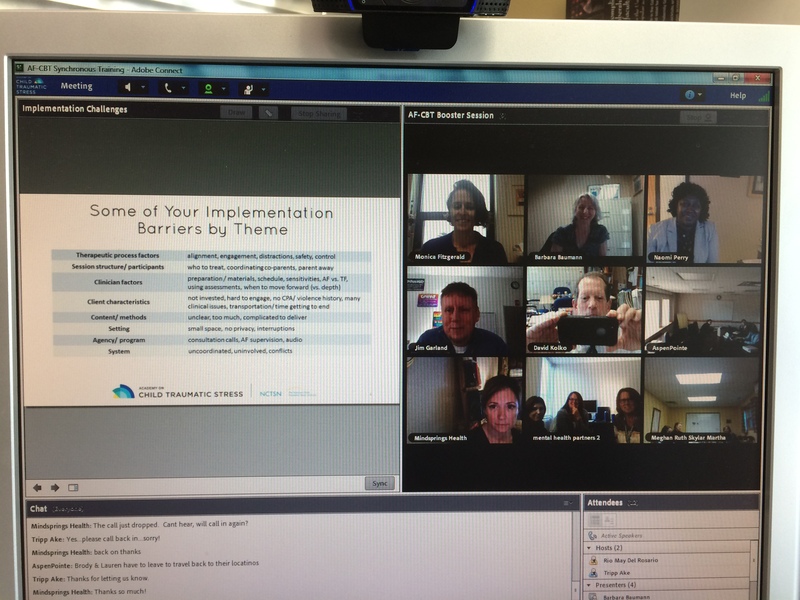 AF-CBT faculty and UCLA/Duke University producers conducted a fully virtual advanced training for trainees from three agencies in Colorado who are participating in a year-long learning community. This screen shot shows the faculty and trainees who can join together as a group or break out into separate subgroups. For more info, contact George ("Tripp") Ake, PhD at George.ake@duke.edu. 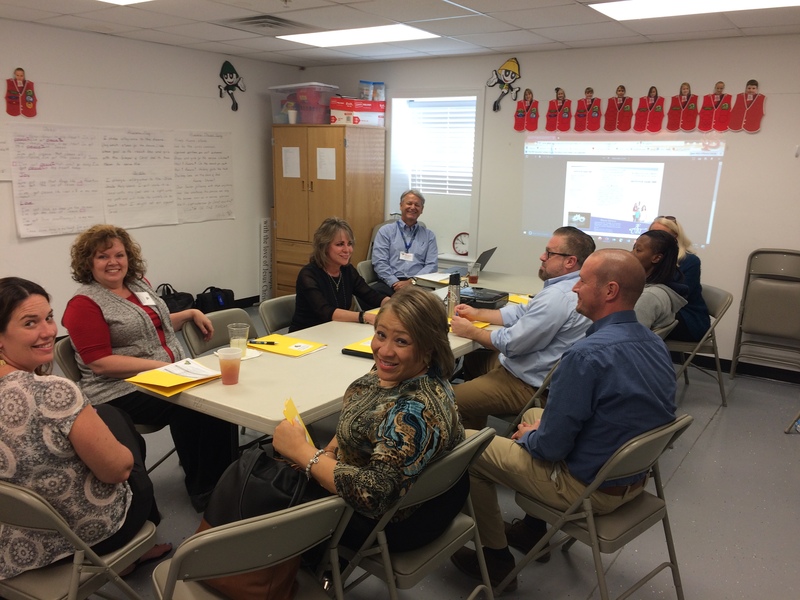 Ben Saunders and David Kolko recently spoke with a group of Senior Administrative Leaders participating in the AF-CBT Lower State (South Carolina) Community-Based Learning Collaborative which was held on October 4th, 2017, in Summerville, SC. The second Learning Session of this regional training collaborative was devoted to enhancing AF-CBT implementation and included several community brokers, child welfare system staff, and treatment providers. The collaborative is supported by the Duke Foundation. Professionals from five clinics affiliated with Comprehensive Health Care in Central Washington state attended an AF-CBT training with David Kolko. They offer services in various settings (e.g., outpatient clinic, home, school). The Comprehensive system has several clinical supervisors who have been delivering AF-CBT for several years after participating in a prior state-wide training with Dr. Kolko. This new grant – their 4th collaborative project funded by the NCTSN -- allows the AF-CBT team to extend its efforts in several areas, including the development of AF-CBT engagement methods for families who struggle with substance abuse problems and concerns about physical abuse, aggression, and/or family conflict. Some of these methods may be piloted in an upcoming training and consultation program to Category III centers that treat this population. Plans are also being made to develop an AF-CBT Military Implementation Manual and provide military-adapted AF-CBT training and consultation calls to therapists treating military families. 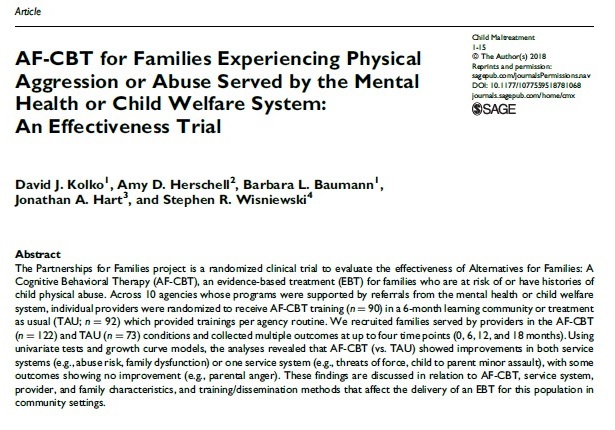 Related work by national AF-CBT trainer/consultant Dr. Barbara Baumann include working with community agencies to develop an AF-CBT parenting group and consulting with clinicians to include foster care parents along with caregivers experiencing issues with substance abuse in AF-CBT therapy sessions. Our team is excited about the opportunity to offer AF-CBT in a format that incorporates individual, group, and family sessions. Dr. Kolko conducted a training July 19-21 for several clinics affiliated with the Massachusetts Society for the Prevention of Cruelty to Children. Monica Roizner coordinated the training and will serve as an invaluable resource in promoting AF-CBT across the state. 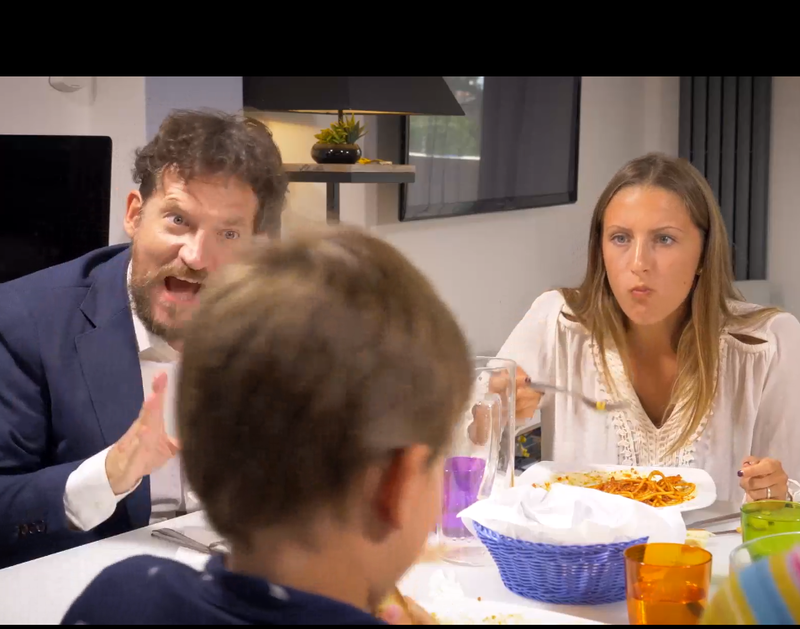 Thanks to a collaboration with the National Child Traumatic Stress Network, we are happy to announce the debut of a series of orientation/training videos for AF-CBT. 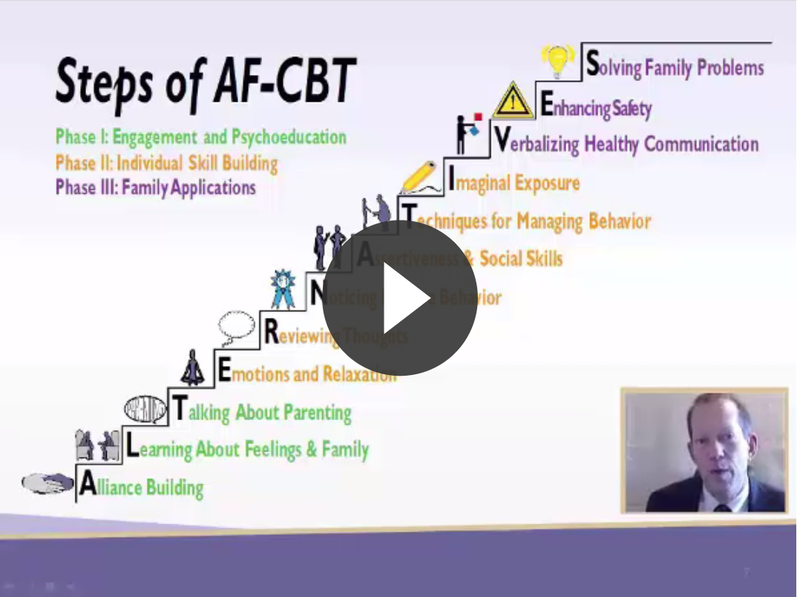 These videos, presented by three trainers and developers of the AF-CBT model, act as an overview of AF-CBT. It is an excellent complement to the 2.5 days of onsite training AF-CBT agencies receive and a great introduction to AF-CBT as a whole. You can head here to view these videos, and even receive Continuing Education Units free of charge from the NCTSN with the completion of four quizzes interspersed throughout the training videos. Completion of this video training will be required of future AF-CBT trainees, but it is also an excellent tool for supervisors and colleagues who wish to know more about it. If you are curious about AF-CBT or know someone who is, this is a great opportunity! If you have ordered an AF-CBT learning collaborative in the past, you are probably familiar with that anxious feeling of waiting for your check to get to us by mail. Now, your days of waiting are over, thanks to our new online payment system! This site allows you to instantly make a payment for AF-CBT training, certification fees, and even training materials via credit card, debit card, or account transfer through our secure, confidential system. If you have taken our AF-CBT Knowledge Questionnaire and did not clear the 80% requirement for passing it, don't worry - you may get a second chance to fulfill this requirement for certification. Contact your trainer to see if you are eligible for this opportunity to take a second Knowledge Questionnaire. What is Alternatives for Professionals? 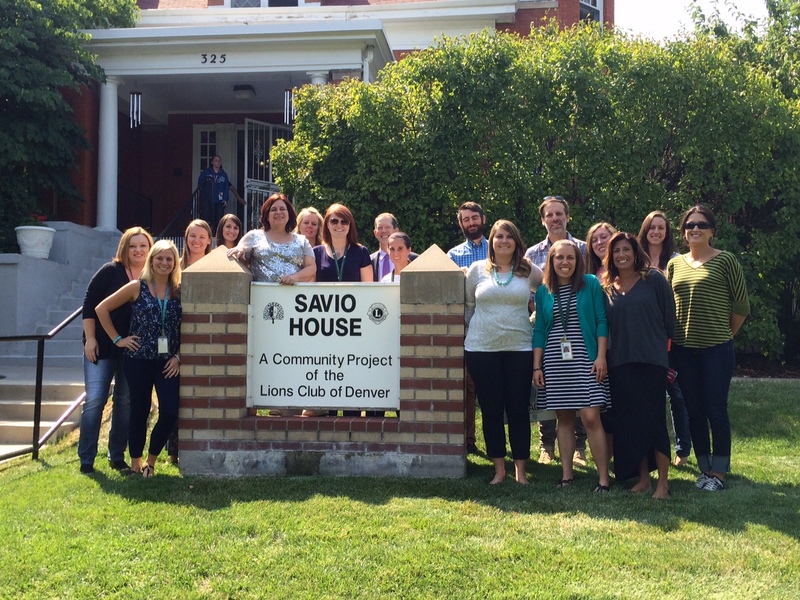 AF-CBT Training, Savio House, Denver, CO.
Savio House (Denver, CO) completed a training with 16 clinical and administrative staff. AF-CBT will be their tenth evidence-base practice to further serve families with high conflict and aggression, a major issue for many of their families. As noted by Julia Roguski (Director, child protection team), "AF CBT will improve our service continuum and help us improve outcomes for families." Translation of the AF-CBT manual into Spanish is now in progress. Thanks to Eunice Torres, Samantha Walker, Rosa Izquierdo, Liliana Baylon, and Claudia Valadez for their contributions to this project. Check back for updates. Dr. David Kolko recently presented an overview of AF-CBT to managers, supervisors, care coordinators, and providers attending the quarterly Behavioral Health and Rehabilitation Services Summit sponsored by Value Behavioral Health of Pennsylvania in Mercer and Greensburg, PA. The session was moderated by Dr. Lisa Kugler, Vice President of Clinical Services. 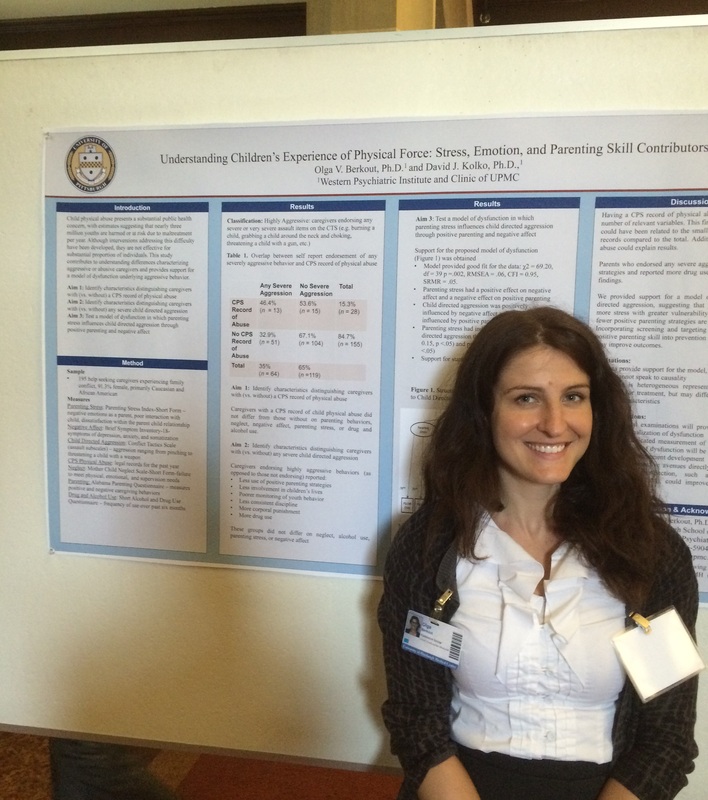 Dr. Olga Berkout presented a poster showing the impact of caregiver dysfunction on parent-to-child aggression at the 15th annual Research Day sponsored by the Department of Psychiatry, University of Pittsburgh School of Medicine. This research study examined clinical variables characterizing physically aggressive or abusive caregivers and tested a model of negative affect dysfunction in child directed aggression. We found that aggressive parents reported more drug use and poorer parenting. Support for our model was obtained and parenting stress was found to have indirect effects on child directed aggression through negative affect and positive parenting behavior. 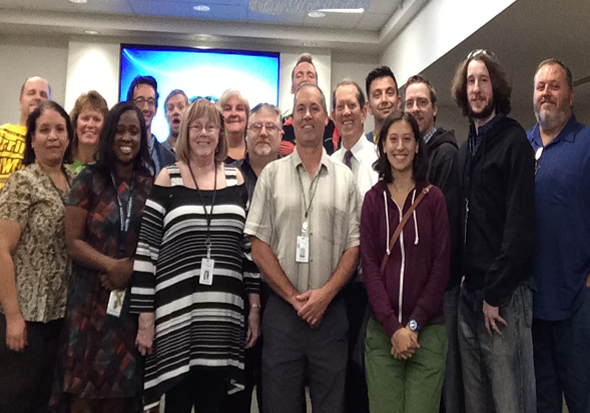 Congratulations to the Pittsburgh Spring 2014 AF-CBT Training Group! These 10 amazing clinicians and supervisors recently completed their year-long AF-CBT training with a high level of enthusiasm and expertise. This consultation group was marked by a high level of attendance, no turnover, and submission of audio recordings by 100% of participants. We look forward to hearing about the successes they have with their clients and the many ways in which they will add to the best practices in AF-CBT. 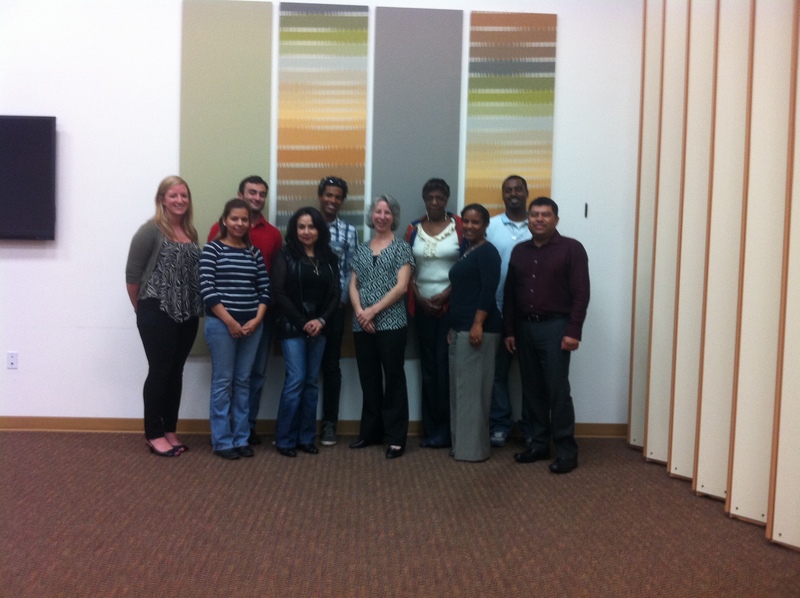 Dr. Barbara Baumann recently completed an initial 3-day AF-CBT training in Compton, CA. Clinicians attended from around Los Angeles and Fresno, representing 4 agencies committed to using AF-CBT with their clients. 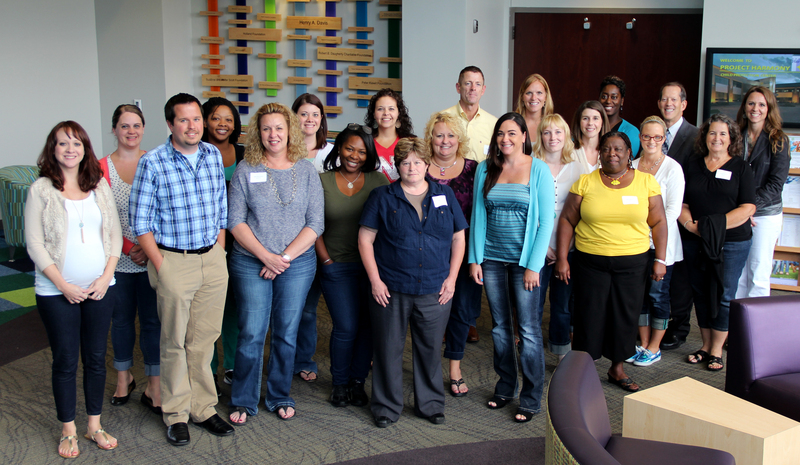 We are excited to have so many agencies who enroll new staff in AF-CBT trainings each year. 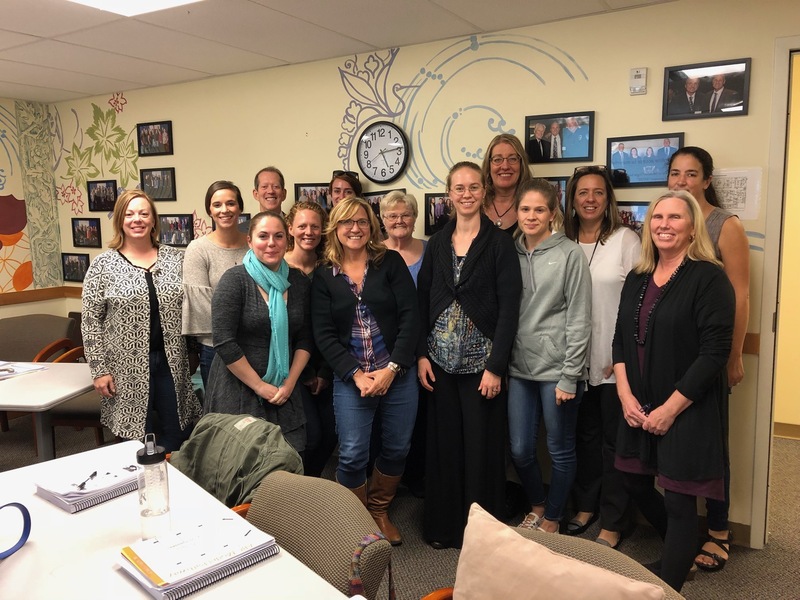 Monica Fitzgerald and David Kolko recently completed the basic training for a second cohort of clinicians in the Denver, Colorado region, and coordinated by Christina Little and Evelin Gomez of the Kempe Center with supporting funds from an ACYF grant. Project Harmony, a CAC in Omaha, Nebraska, recently hosted a learning community in AF-CBT for clinicians from several agencies around the state. This picture includes many of the clinicians and supervisors who participated in the training. Their stunning building complements their highly effective efforts to promote access to high quality services for children and youth. 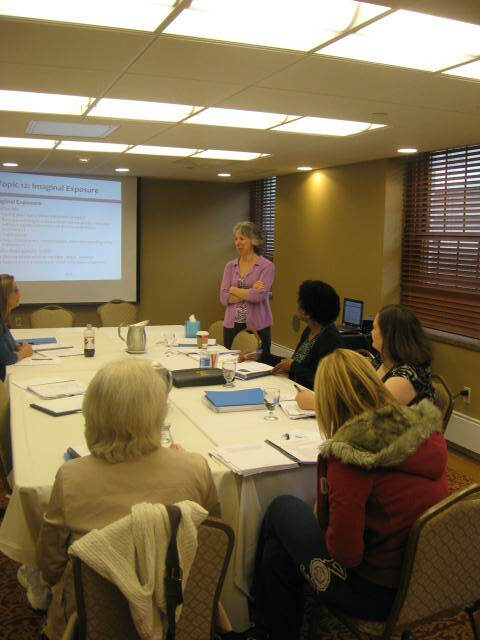 Dr. Kolko recently completed a training in AF-CBT for practitioners from several community agencies that was sponsored by the Department of Human Services of Allegheny County (Pittsburgh, PA). We would like to thank Mineko Inuduka and her staff at the Institute of Counseling at Taisho University for translating our handouts and session guide into Japanese. Both the Japanese handouts and session guide can be found in the Downloads section available to AF-CBT trainees. New foster care materials are now available for download for current AF-CBT clinicians. Contact us for access to the Downloads section of the site. 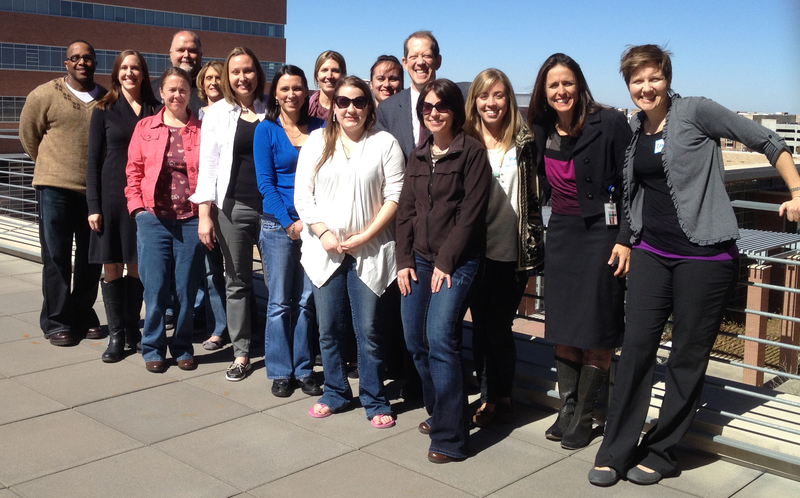 Dr. David Kolko conducted an advanced AF-CBT (booster) training for Project Harmony in Omaha, NE on April 29. Dr. David Kolko presented a paper: Treating Emotional and Physical Abuse Using Alternatives for Families: AF-CBT. In Sympo Title: Continuing to implement evidence-based trauma treatments: Lessons learned over the long term. 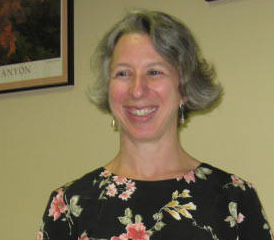 Chair: Lucy Berliner, MSW. British Association for the Study and Prevention of Child Abuse and Neglect (BAPSCAN) Conference in Edinburgh, Scotland. 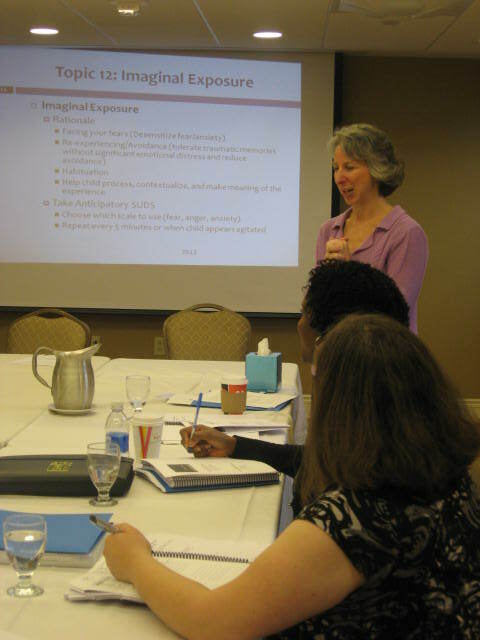 Dr. Barbara Baumann conducted an Alternatives for Professionals training for Family Works and New Hope in Indianapolis, IN on April 9-10. Dr. Barbara Baumann conducted an Alternatives for Professionals training for the Illinois 2nd Circuit Court in Mt. Vernon, IL. on March 5-6. Alternatives for Professionals (AFP) is designed to enhance the client relationship by focusing on skills to increase engagement and motivation among families and confidence and empathy among professionals. While working with AF-CBT trained therapists, a need was identified to train the professionals who support the work that therapists do with families. The primary components of Alternatives for Professionals are: Decision Making, Emotion Regulation, Positive Parenting, and De-escalation. Each of these components offers professionals several alternatives to enhance the client-worker alliance. AFP is a great way to involve case managers and case workers in the care of families. 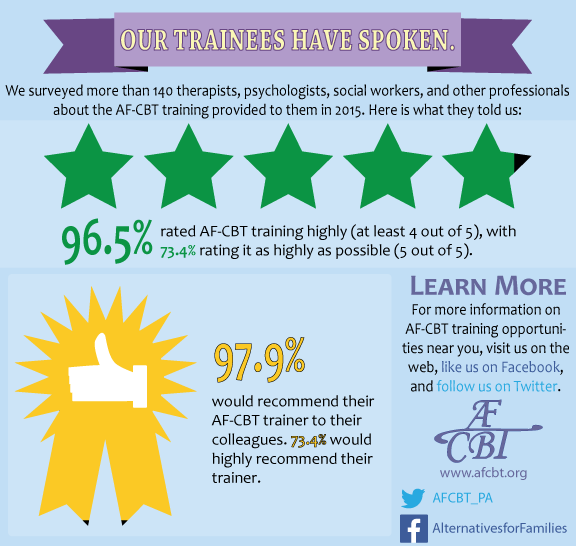 By training therapists in AF-CBT and case managers in AFP, the family can receive a continuum of care based on one model of service. 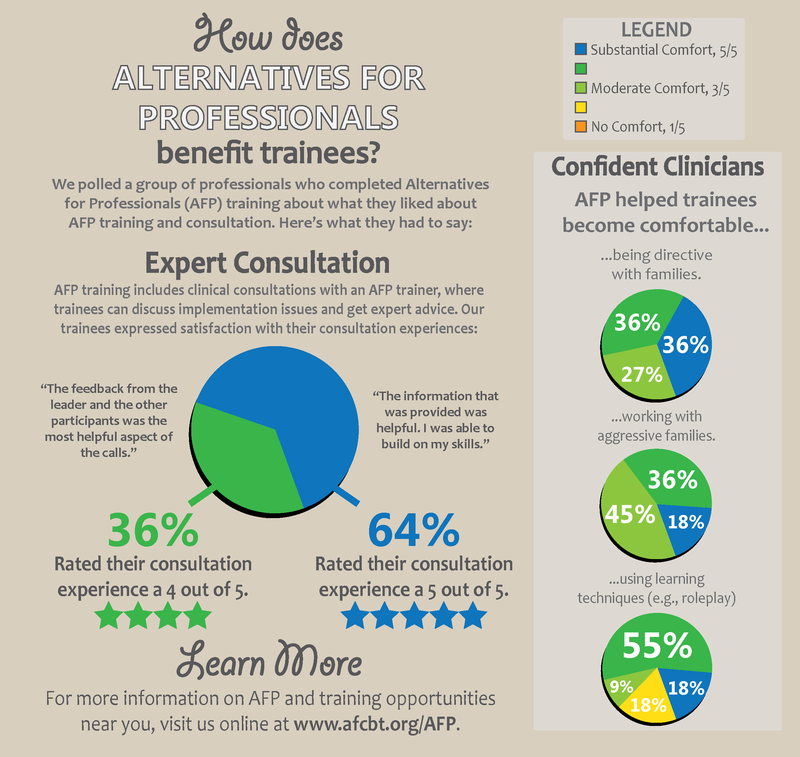 While AF-CBT is a manual-based mental health treatment, AFP provides professionals with information on key components they can use to facilitate services. AFP is trauma-informed and appropriate for many different providers working with children and families. Dr. David Kolko lectured on AF-CBT at the 30th annual meeting of the International Society for Traumatic Stress Studies in Miami, Florida on November 17, 2014. Kolko, D. J. (November, 2014). An effectiveness trial of AF-CBT: Initial clinical outcomes. In C. de Schipper (Chair), Addressing violence in community-based and clinical interventions for children and families: To what degree does a trauma-focus add to understanding and changing child outcomes? Paper presented at the 30th annual meeting of the International Society of Traumatic Stress Studies, Miami, FL (11/7/2014). Dr. Kolko gave the keynote address Children Exposed to Physical Violence: Understanding and Addressing Vulnerabilities at the In Violence and Behavioral Health: Developing an Evidence-Informed Community Agenda conference on October 27, 2014. The conference was part of the Recovery and Wellness Series: The Journal Starts Here. A Joint Effort Sponsored by the Community Care Behavioral Health Organization and Western Psychiatric Institute and Clinic, Loren Roth, MD., Course Director. David Kolko presented a lecture on AF-CBT to the faculty and staff of the Norwegian Center for Violence and Traumatic Stress Studies in Oslo, Norway, at the invitation of colleague Dr. Tine Jensen. Discussions are underway with Dr. Jensen and a colleague, Dr. Lutz Goldbeck, to propose research to pilot AF-CBT in two European cities. Pictured at left with Dr. Kolko are Drs. Tine Jensen, Tonje Holt, and Lutz Goldbeck. Click on the image at right to watch Dr. Kolko's presentation. 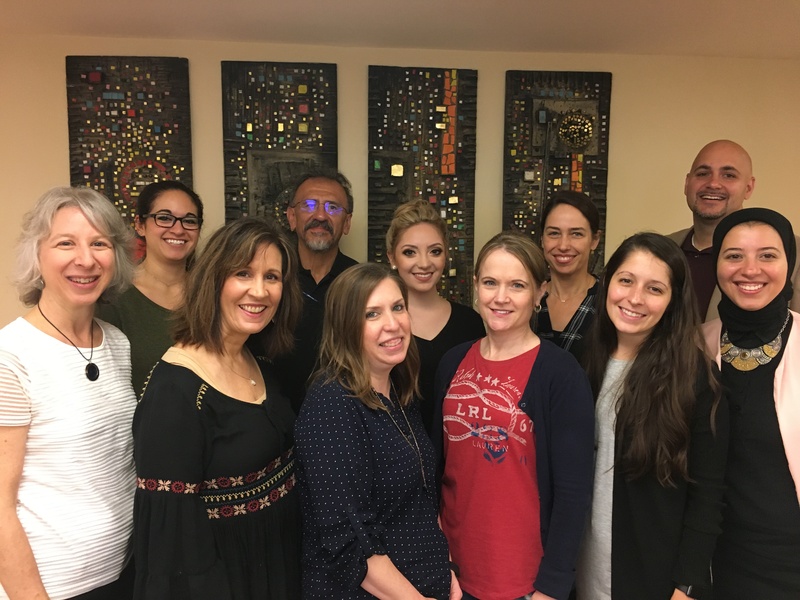 Dr. Barbara Baumann recently completed an initial 3-day AF-CBT training in Pittsburgh, PA. Clinicians attended from around the country, many working to initiate AF-CBT services in a community mental health center. 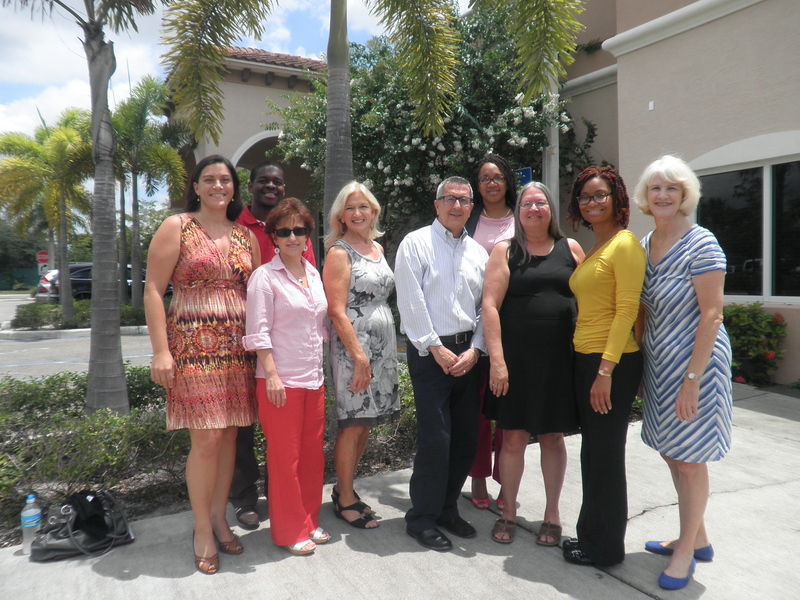 This training was co-led by Ms. Patrice Rotolo from Smith Community Mental Health Center in Plantation, FL. Training will continue with 12 monthly case-consultation calls via web-conferencing. Check out the new AF-CBT video. It includes three video clips with background information on AF-CBT eligibility, theories and research. AF-CBT was featured in a chapter in the recently published 2nd edition of Treatment of Child Abuse: Common Ground for Mental Health, Medical, and Legal Practitioners, edited by Robert M. Reece, M.D., Rochelle F. Hanson, Ph.D., and John Sargent, M.D. A study published this week in Pediatrics (2014, Vol. 133, pp. 981-992) documented several benefits to the integration of trained care managers in a pediatric practice on child, caregiver, and physician outcomes. Much of the content included materials that were adapted from AF-CBT. The Family Strengthening Program at Smith Community Mental Health, funded by Children’s Services Council of Broward County, exclusively implements AF-CBT. Providing in-home therapeutic services designed to reduce child abuse and neglect, the program focuses on family conflict and child behavior problems with families that are at moderate to high risk of abuse and neglect. Maltreatment may have already occurred with many of the families participating in the program. The most recent annual performance measures for the Family Strengthening Program demonstrate that 77% of parents with clinically significant parenting stress decreased their level of parenting stress, 92% of successfully completing families did not receive a verified abuse report within 6 months of program completion, and 84% of families improved family functioning. In addition to the Program Manager working towards being an AF-CBT trainer, we are excited to have multiple clinicians applying for certification. Due to the success of implementing this model with our families, we are investing in becoming a primary source for AF-CBT in the Broward County Behavioral Health Community. Contact Patrice S. Rotolo, LCSW, Program Manager, Family Strengthening, Smith Community Mental Health, 954-321-2296 ext229. 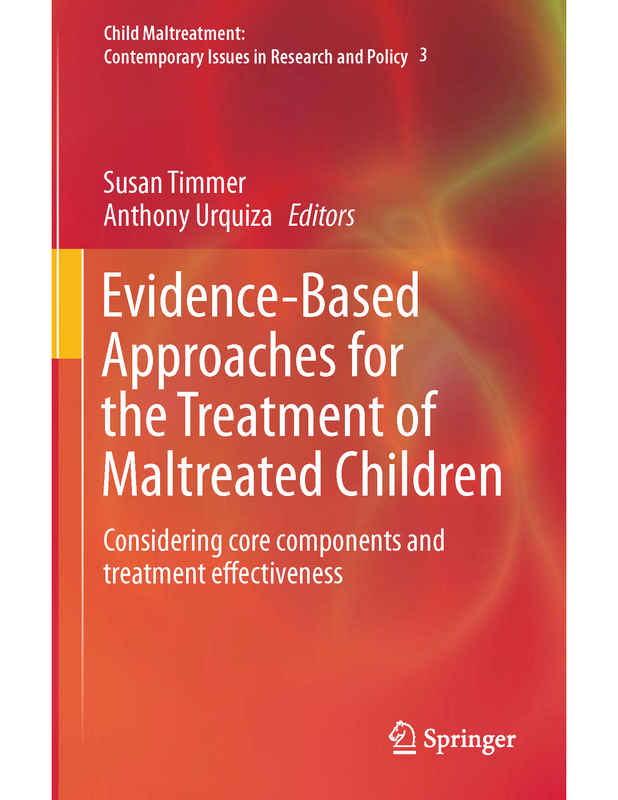 An updated overview of the model with a case example was recently published in a book edited by Susan Timmer and Anthony Urquiza. The book includes overviews of several treatment approaches. 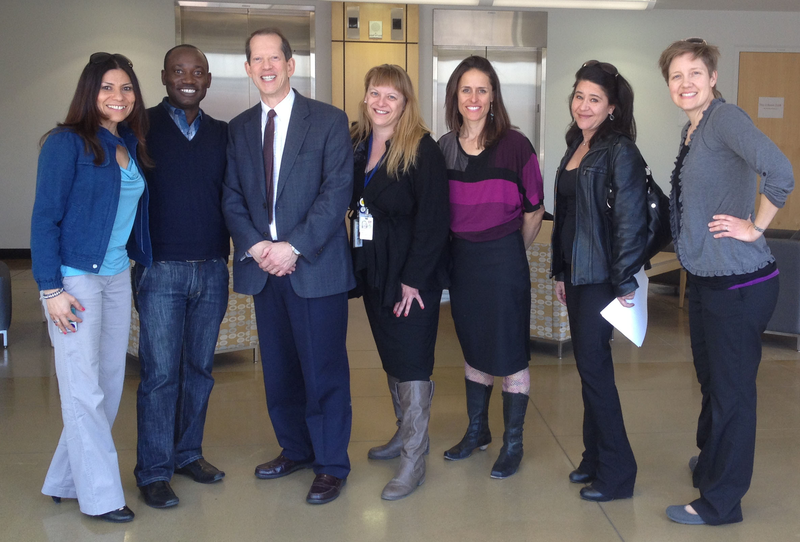 David Kolko recently conducted an Advanced Training workshop for clinicians and caseworkers that was co-led with colleagues from the Kempe Center (Monica Fitzgerald Evelin Gomez, Laura Eccles) and Denver Department of Human Services (Francis Agyakwa, Lynn Ford). Supported in part by an ACYF-funded Trauma Informed Practices Initiative (Christina Little, PI), this 2-day follow-up event promoted discussions of the level of provider expertise and family progress achieved across the past year, novel procedures for promoting ongoing multidisciplinary team collaboration, and sustainability planning in the Denver community. 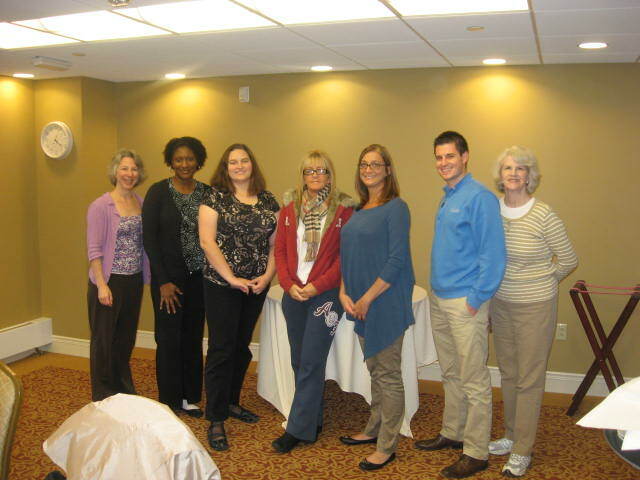 David Kolko recently attended the NCTSN’s All Network Meeting in Falls Church, VA. 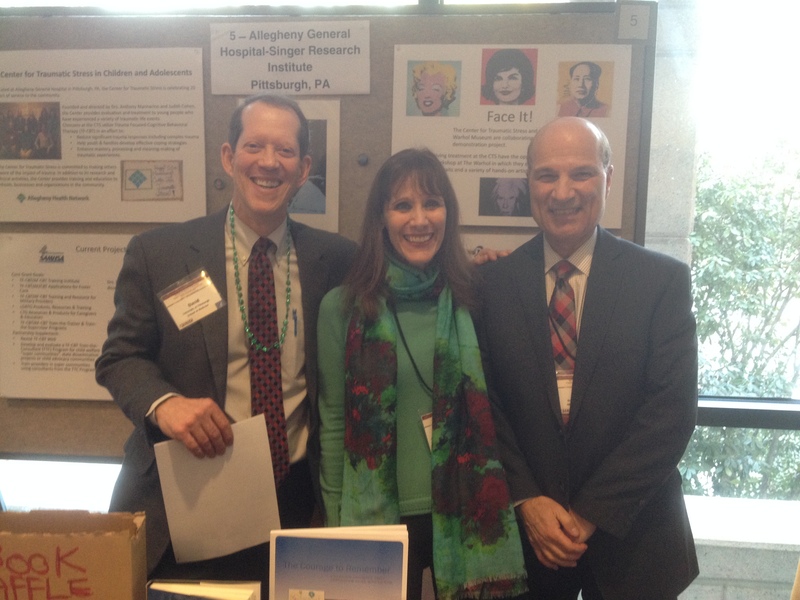 He participated in the networking fair with colleagues Judy Cohen and Tony Mannarino from Allegheny General Hospital. He also chaired a workshop session on “Engaging caregivers at risk for physical abuse: Strategies for overcoming challenging behavior” that included colleagues Esther Deblinger and Beverly Funderburk. Barbara Baumann, Ph.D., conducted an AF-CBT training in Los Angeles. Participants in this comprehensive AF-CBT training learned about the 3 Phases of AF-CBT (Engagement and Psychoeducation, Individual Skill-Building, and Family Applications). We had interesting discussions about discipline and aggression, and each person came away with his or her own example of a mildly distressing time they can share with clients to demonstrate the Reaction Triangle. Much time was spent watching live behavioral demonstrations and role playing skills, such as imaginal exposure, clarification, and emotion regulation. The group is excited to begin monthly consultations in April. The August NCTSN Bulletin is now available. APSAC hosted its 2013 Annual Colloquium in Las Vegas, Nevada, June 25-28. 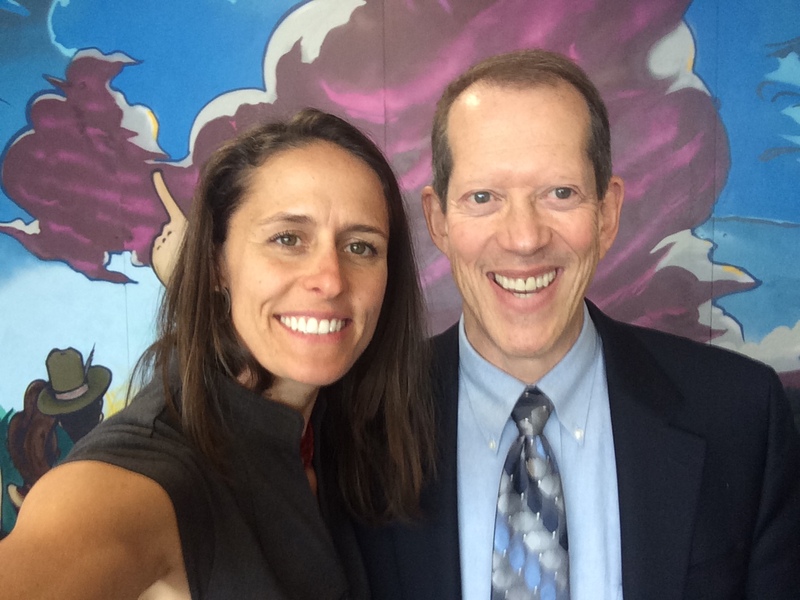 David Kolko, PhD., and Elissa Brown, PhD. presented on State of the Art in Treatments for Child Physical Abuse: Parent-Child Interactive Therapy (PCIT), Alternatives for Families: A Cognitive Behavioral Therapy (AF-CBT), Multisystemic Threapy for Child Abuse and Neglect (MST-CAN). David Kolko, Ph.D., ABPP: A National Learning Collaborative in AF-CBT: Lessons Learned and Recommendations. In B. Saunders (chair), Continuing to implement evidence-based trauma treatments: Lessons learned over the long-term. Paper presentation at the 13th ESTSS Conference "Trauma and its clinical pathways: PTSD and beyond" Bologna, Italy. 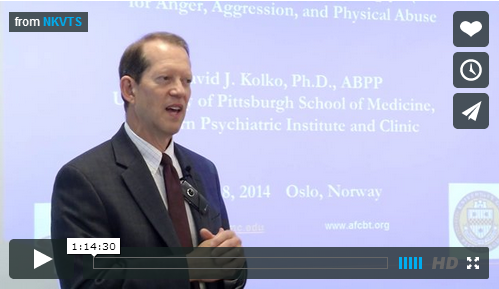 David Kolko, Ph.D., ABPP: An Overview of AF-CBT. 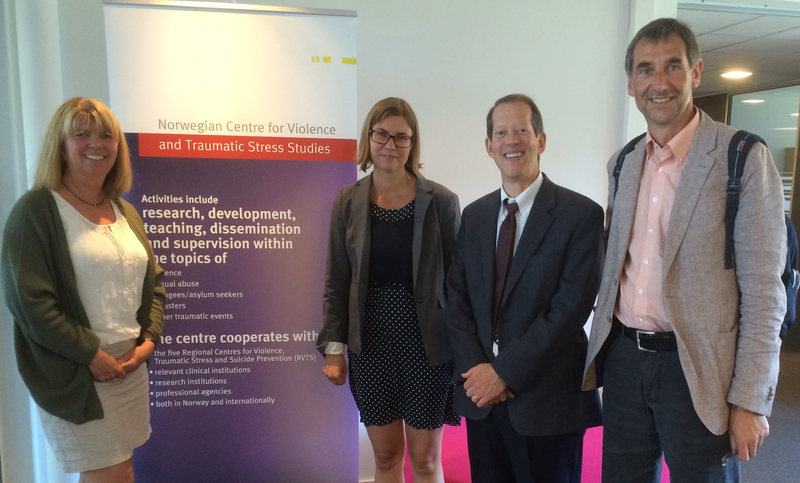 In E. Caffo (chair), Treating trauma and PTSD in children and adolescents: an expert meeting. Modena, Italy: University of Modena and Reggio Emilia. Naomi Perry presented PCIT and AF-CBT before Washington Congressman Jim McDermott and California Congresswoman Karen Bass in a forum on Child Welfare to about 120 participants inclusive to Washington house representative Mary Lou Dickerson, Judges, Children's administration (CA) and many other community leaders in a Panel discussion. She was on panel one which looked at "Strategies to Implementing Culturally Competent Evidence Based Practices for Children and Families in Foster Care" while the second panel continued the EBP discussion and focused on "Psychiatric Medications - Appropriate and Inappropriate usage with Children and Youth in Foster Care". The second panel cited that children in foster care are medicated far more than children not in foster care and as young as 1 year when compared to same age children not in foster care. 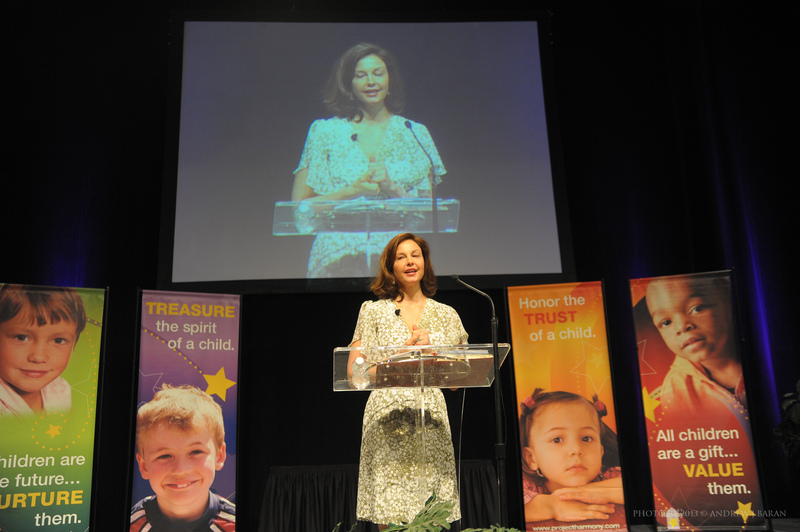 Actress, author, humanitarian and child abuse survivor Ashley Judd was the featured speaker at the Speaking of Children conference in Omaha, Nebraska on March 6, 2013 presented by Project Harmony. Dr. Barbara Baumann will be at the WPIC info table at the 8th annual Pittsburgh Conference on Child Maltreatment with information on AF-CBT and AF-CBT training. Looking for an AF-CBT Therapist? 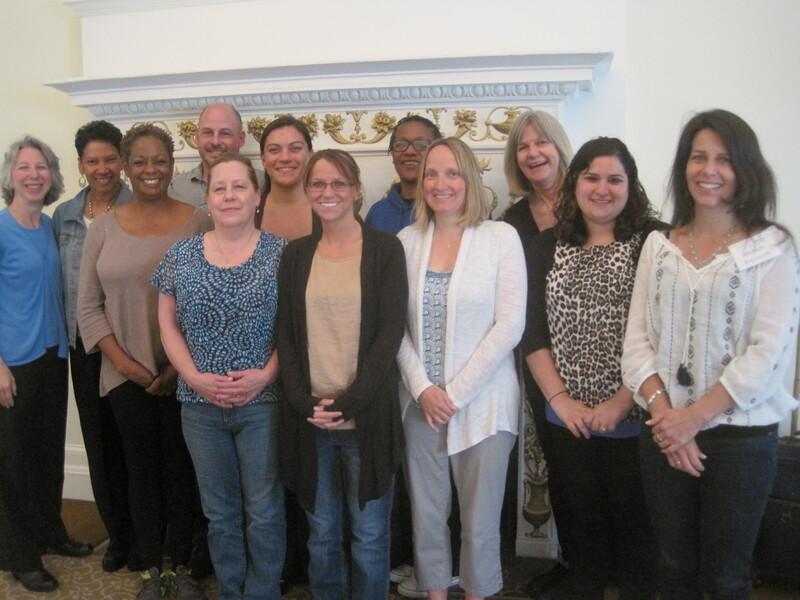 AF-CBT trainings were recently completed in Cleveland, OH, Los Angeles, CA, and Denver, CO. The comprehensive AF-CBT training collaboratives take place over 3-days and are designed for clinicians, supervisors, and administrators interested in implementing AF-CBT with their clients. The workshops combine didactic, interactive, and experiential learning to help professionals gain the knowledge and skills necessary to implement AF-CBT successfully. Each set of workshops is followed by one-year of case consultations, giving clinicians and supervisors the opportunity to ask questions and receive feedback while providing AF-CBT to families. We recently concluded our 2nd annual Pittsburgh, PA 3-day workshop training utilizing Alternatives for Families: A Cognitive-Behavioral Therapy (AF-CBT). This training was specifically designed for mental health practitioners providing treatment with families (caregivers and children) who are at risk for high conflict, coercion and/or physical discipline. 20 professionals from agencies around the United States participated in lively discussions, role plays, and skill building activities as part of the 3-day comprehensive training that starts of the AF-CBT learning collaborative. Training will continue with monthly consultation calls and reviews of audio files from clinicians’ therapy sessions. The AF-CBT trainer and trainees will collaborate to provide participants with the feedback necessary to implement this evidence-based practice with fidelity. We are excited to announce the new AF-CBT Session guide, 3rd edition is now available for AF-CBT training. We are announcing the opportunity for an intensive training, including 3-days of in-person training and a year-long clinical collaboration utilizing Alternatives for Families: A Cognitive-Behavioral Therapy (AF-CBT). This training is specifically designed for mental health practitioners currently providing treatment with families (caregivers and children) who are at risk for high conflict, coercion and/or physical discipline. In order to best implement AF-CBT, we also recommend supervisors and agency administrators consider attending in order to support the use of AF-CBT in their organization. For more details on the training, or to register today, review our training page. Florida International University's Center for Children and Families announced its Spring 2012 Speaker Series on Evidence-Based Interventions for Child Physical Abuse and Family Conflict. The Office of Juvenile Justice and Delinquency Prevention has funded an adaptation of AF-CBT as part of a multi-site, multi-million dollar grant at ten sites throughout the United States over the course of the next four years. As part of the national Safe Start Promising Approaches Initiative, these funds will be used for Project CONNECT, a community-based AF-CBT treatment program that will increase access to services for those in the Queens, NY area who have been exposed to violence. The project seeks to increase access to Latino, African American, and Caribbean victims of domestic and dating violence as well as those who have encountered physical abuse and assault. Project CONNECT is being conducted by the PARTNERS Program at St. John's University, under the leadership of Dr. Elissa Brown, Founder and Executive Director. 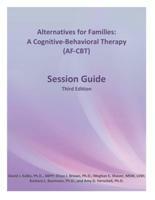 Dr. Brown is a co-developer of the third edition (2011) of AF-CBT. She also is an AF-CBT faculty for the NCTSN Learning Collaborative. 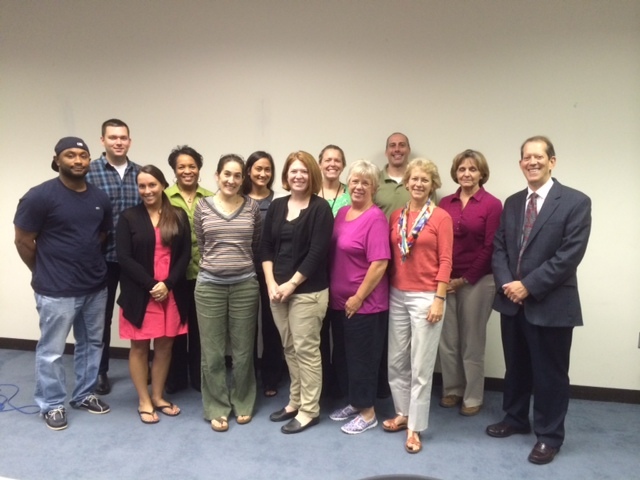 The AF-CBT training session held in Pittsburgh, PA in September was a success. Twenty-three people from all over the country traveled to Pittsburgh for the 3-day intensive in-person training. These participants will also be participating in a year-long clinical collaboration utilizing AF-CBT. Participants have been selected and notified for the 2011 NCTSN Learning Collaborative. A full list of participants will be announced shortly. The first training will take place in Pittsburgh, PA on November 16, 2011. AF-CBT was the only group to be selected by the National Child Traumatic Stress Network (NCTSN) from a final group of eight other child trauma interventions to participate in hosting this Learning Collaborative. The Learning Collaborative will be starting in November and training will conclude in July 2012. The NCTSN was formed with a mission to raise the standard of care and improve access to services for traumatized children, their families and communities throughout the United States. The Office of Juvenile Justice and Delinquency Prevention will fund an adaptation of AF-CBT as part of a multi-site, multi-million dollar grant at eight sites throughout the United States over the course of the next four years. As part of the national Safe Start Promising Approaches Initiative, these funds will be used to create Project CONNECT, a community-based AF-CBT treatment program that will increase access to services for those in the Queens, NY area who have been exposed to violence. The project seeks to increase access to victims of domestic and dating violence as well as those who have encountered physical and sexual assault. Project CONNECT is led by Elissa Brown, Ph.D., executive director of the PARTNERS Program at St. John's University. In addition to Project CONNECT and PARTNERS, she is currently a collaborator in the continued development of AF-CBT as part of the upcoming NCTSN Learning Collaborative. Project CONNECT will continue to adapt AF-CBT to more specifically address the needs of Latino and African/Caribbean communities in Queens, NY. A new article, "Evaluation of the sustainability and clinical outcome of Alternatives for Families: A Cognitive-Behavioral Therapy (AF-CBT) in a child protection center," is now available online from the Journal of Child Abuse & Neglect. This article will be published in a future issue of the Journal. Click here to view the abstract from this article.